I absolutely loved this month, and it was definitely one filled with challenges and getting out of my comfort zone. But it was also a month that reminded me of what is truly important in life. 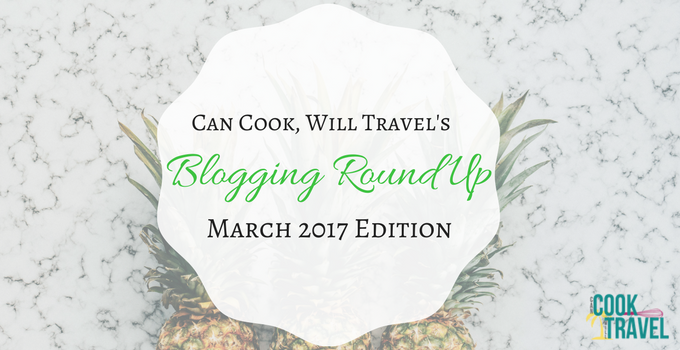 So let’s dive into this month’s blogging roundup to highlight everything that March brought us here at Can Cook, Will Travel. When it comes to challenges and getting uncomfy, I honestly think I typically hesitate for a moment. But then the fear of the unknown subsides and I just get super excited to try something new. So you bring me a challenge and you bet I probably won’t shy away from it. I’ve been developing an email challenge this month, and we’ll get to more in a few. That’s such a new thing for me to create, but I totally just dove into it which was pretty fun. I’m so excited about my weekly newsletters I’ve been bringing my followers, because I’d been avoiding doing one for years. So far it’s been fun to give an insight into my life each week along with keeping up on each post. So I hope you’re enjoying my newsletter, and if you aren’t getting them yet, sign up here! I love these blogging roundups each month, because it gives me the chance to reflect back on my month. Sometimes you just have to allow yourself to slow down, and earlier in the month I took a little trip with my parents. I love nature, and it was relaxing and just a great change of pace to get away and do some family bonding. Although we definitely missed my sister who couldn’t join us, so that means we will have to do it again soon.. I also went to a gender reveal party back on the 15th and found out my cousin Katie is expecting a baby GIRL!! We’re so, so excited to have a little girl to spoil in our family, and I can’t wait for her to arrive this Summer. Experiences like the party and traveling with my parents really remind me how important the bonds of family are. And how critical it is for us to take time and recharge our batteries and LAUGH! Seriously laughter is the best medicine for so many things. And now we’re onto all of the fun posts for this month’s blogging roundup, so buckle your seatbelt and let’s dive in! From 5 stellar recipes to a focus of getting back to cooking and enjoying being in the kitchen with great, healthy recipes. This was a pretty fantastic month on the blog! So let’s dive into March’s blogging roundup, shall we?! Break out your blender and muffin tins for this simple Easy Blender Muffins recipe. With a base of bananas, peanut butter, apple cider vinegar, baking soda, and eggs, you will be enjoying this stellar breakfast in no time. Plus it’s gluten free and dairy free. Now you can add your favorite spices and add-ins like chocolate chips as I did, and really make these muffins your own. Yum, yum, yum is about all I can say here! You guys, it was St. Patty’s Day this month! My Irish roots do a little jig (in my mind, of course) when I think about the food I love on St. Patrick’s Day. And what could be a more perfect addition to your corned beef and cabbage menu, than a slice of Irish Soda Bread?! The answer is: Nothing. Oh and I worked a little magic and removed all the dairy from it, and you’d never know. Love that! I’m the first to admit that cooking Indian cuisine is not something I do often. But this Chicken Tikka Masala recipe was begging for me to make it when I came across it. So off I went to whip up this meal, and let me tell you it was stellar! One big reason I wanted to make this was to see if I could make it dairy free and have it still taste good, and it totally did. I know you’ll love this dish too. My love of potstickers is attributed to my mom. She ordered these really yummy pork potstickers off of QVC, and we couldn’t get enough of them. So when I found a recipe for Pork Potstickers, well it was too tempting to be able to make them myself to not try. Oh. Holy. Moly. These potstickers are so, so good! I plan on making a big batch at least once a month and freezing them all, so that I can enjoy them anytime. Healthy: Check. Light: Check. Flavorful: Check. Okay, now that we have that covered, then it’s a total no-brainer to make this Spring Roll Noodle Bowl. There’s a lot you can make in advance, and this is a great noodle bowl to eat on throughout the week. I love the lightness of the rice noodles and bright dressing, and I know this dish will carry me through Spring and Summer with ease! So freaking good and it’s gluten and dairy free. This month’s cookbook feature is the Back to the Kitchen Cookbook by Freddie Prinze, Jr, and I’m loving it. I got this one for Christmas and I was kind of avoiding it on my dairy free quest, because I thought it’d be all comfort food and filled with dairy. I was pleasantly surprised though, because not only do these recipes look completely delicious, BUT as I was reading it, I realized that there were a ton of dishes that I could easily eat. This book is definitely worth owning, and I so can’t wait to whip up lots of yummy food from it! Life just flies by, doesn’t it? And during the week, evenings are kind of a blur for me, because I’m usually totally worn out from work. So cooking a big meal is not in the cards. I put together this post of 5 Quick & Healthy Weeknight Meals for you to whip up in no time during the week, so you can enjoy your night and not feel like you’re a slave in the kitchen. So click the link, go download the recipe guide I provided and you’re on your way to a relaxing weeknight. Yep, it’s true . . . I’m talking a lot about dairy free cooking this year. So I wrote a post about my dairy free cooking journey and why I’m trying it out. So far it’s been way, way easier than I ever expected it to be. I’m a giant fan of cheese (especially goat cheese), so for me to eliminate it from my daily food is kinda huge. And that’s a wrap on this month’s blogging roundup! March was fun, busy, challenge filled, and totally exciting, so dive into these posts and let me know what you think. 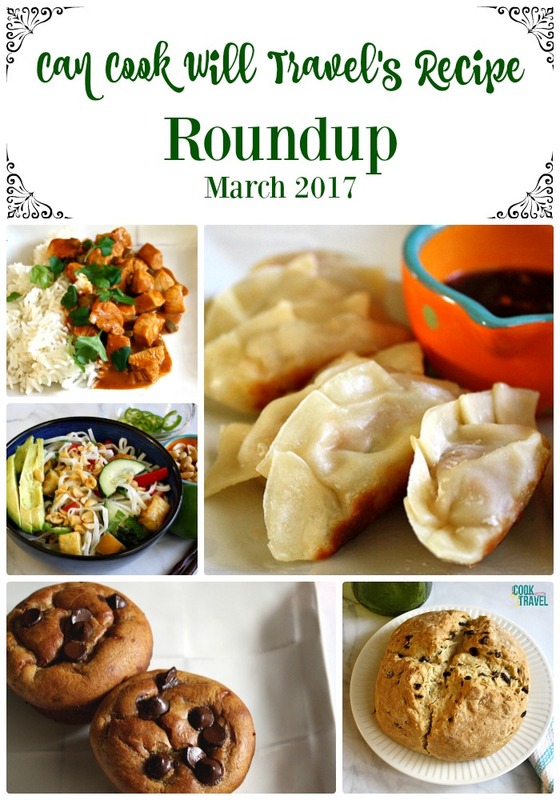 The recipes this month are super diverse, fun to make, and really delicious! My goal this month was to showcase lots of different ingredients, cuisines, types of recipes and show you how to create them all with ease. Remember each recipe includes step by step photos, so you know you’re on the right track as you make a dish. 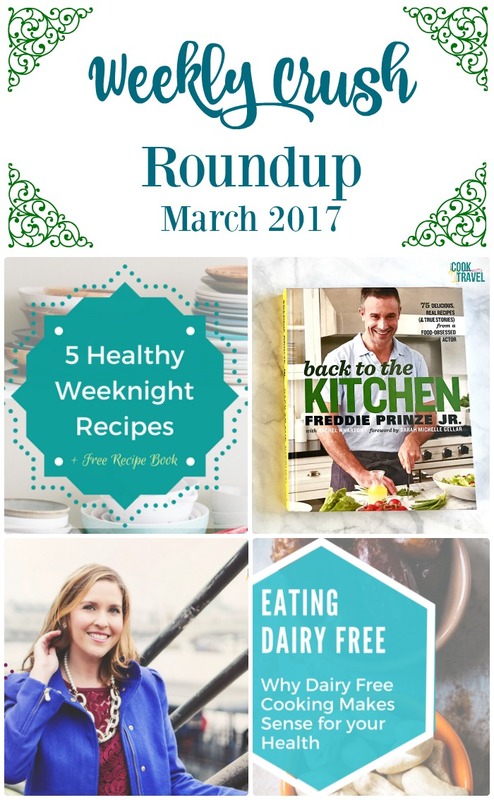 I can’t wait to hear what foods and recipes sound good to you right now from this blogging roundup! I’m always looking for inspiration and ideas, so comment away! 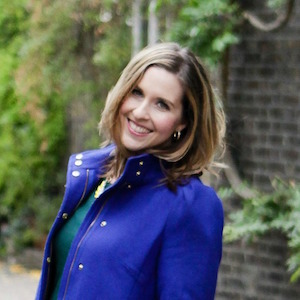 Keeping up with everything going on with me and the blog is a cinch, so you can join my newsletter right here. And if after reading this month’s blogging roundup you’re curious about this whole dairy free thing, and want to learn more, then join my 5 Days to Dairy Free Challenge by clicking this link and check it out. Even if you use it as a way to simply cut down on how much dairy you eat or be more aware of it, then that’s a perfect way to get started! I’m so excited for you to join me! Stay inspired & discover new things!